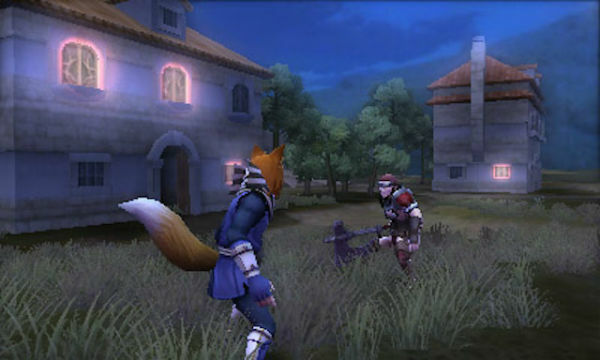 Fire Emblem and Animal Crossing are coming to mobile platforms, but don't panic! It seems unlikely either game is based around free-to-play mechanics. In the excitement and drama surrounding Nintendo's NX / Legend of Zelda information deluge, some pretty important information got drowned out by the din: Nintendo's upcoming plans for mobile. It's all laid out in the earnings report Nintendo published earlier this week. After a successful mobile debut with Miitomo, Nintendo's next mobile apps will involve Animal Crossing and Fire Emblem. According to the earnings report, both programs are "pure game applications" that have "more prominent game elements" compared to Miitomo. The Fire Emblem game in particular is "accessible," but still "offer[s] the great value of a role-playing strategy game." Both games supposedly tie into their Nintendo 3DS counterparts in some way, and will be available this fall. More information is pending. Animal Crossing is a good fit for mobile platforms. It's a social game at heart, though the mobile iteration of the franchise will probably have you converse with other human players more regularly than in past games (in addition to your animal pals, of course). Animal Crossing's relaxed pace also means you probably won't suffer too many mishaps with virtual d-pads and on-screen buttons. Watch where you swing that bug net, though. Fire Emblem for mobile, on the other hand, probably has people sighing and / or tugging their collars. Don't stress, though. Mobile is home to some amazing strategy games, including the recently-released Warbits from Risky Lab. In fact, if you're a starving Advance Wars fan (and who isn't at this juncture? ), Warbits is a must-download. For $3.99 USD, you get a meaty single-player campaign, lots of multiplayer options, and zero pitches for in-app purchases. Moreover, turn-based strategy games like Fire Emblem and Advance Wars arguably benefit from touch-screen interfaces. If you still choose to despair over Fire Emblem on mobile because you hate free-to-play game mechanics, here's something to consider: Nintendo's press release about Fire Emblem and Animal Crossing for mobile doesn't say a word about either game being free. Obviously, the next press release Nintendo distributes about either game might have "free-to-play!!" stamped all over it. But mobile game developers usually build their games around their chosen monetization schemes, which is why a mobile game's earliest press release usually tells you up front whether it's free or paid. Nintendo never made a secret out of Miitomo being a free app, but it has mentioned that it has paid apps and games in the pipeline. 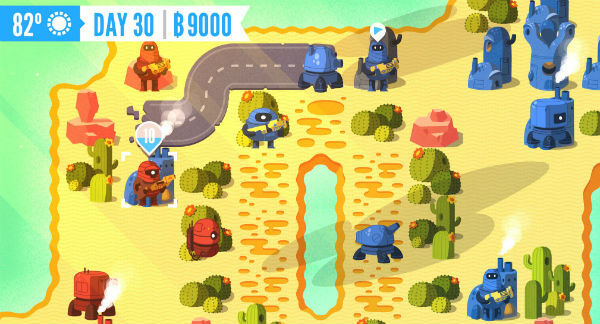 There are some excellent strategy games exclusive to mobile, like WarBits. Nintendo is seemingly not overly interested in making money directly from its mobile apps and games. It's more interested in having those apps and games serve as a gateway to its console-based library. That's why Miitomo feeds into the My Nintendo rewards program, which offers discounts on certain games for the Wii U and the Nintendo 3DS. Don't forget, Nintendo has already confirmed Fire Emblem and Animal Crossing mobile will interact with its handheld-based brothers in some regard. Don't be surprised, then, if Fire Emblem and Animal Crossing mobile turn out to be 99-cent games ultimately meant to nudge you in the direction of the Nintendo 3DS. There may be options for superfluous in-app purchases like costumes, etc, but when you read between the lines there's no indication either game is built around free-to-play mechanics. One obvious question remains: If Nintendo's upcoming mobile titles exist mostly to get you into the meat of Fire Emblem and Animal Crossing, will either one be worth playing? I anticipate that'll be a "yes," even if neither game is quite as fleshed-out as a full-blown 3DS game. Miitomo, which is based on Tomodachi Life, is a well-built app. Nintendo is doing its best to take care of it through in-game promotions, updates, bug fixes, and the like. Much about Nintendo's mobile strategy is still a big question mark, but for now it appears the franchises involved are being treated with care and respect. Tagged with Animal Crossing,	Fire Emblem,	ios,	mobile,	News,	Nintendo,	Nintendo 3DS.